The point I’m trying to make is that everyone needs inspiration these days. Whether it’s in the form of a talk or a song or a video or a blog, we all want to be encouraged and be told that things in our lives will be better in the end, because of something hopeful that we can know from what we’re reading or watching or listening to. We all want outside stimuli to tell us that we’re worth more than we feel, and that we’re going to be ok in the end. And while ultimately, I believe the best inspiration we can ever receive is from Jesus and the Bible, I believe there is no limit to anything God can use. Inspiration from God can be in the form of creation, the joy in a baby’s eyes, a successful albeit controversial TV show, or even an atheist talk-show host. We can literally look anywhere and everywhere and find God speaking. But as I am a guy who has found that my main medium of communication and viewing new information is through TV and the internet – and why I think that we all need to know how to discern which is inspiration that will be beneficial to us; I reckon that this upcoming top tens post, where I reveal my top inspirational videos I have ever seen, is a post that you all should take a look at. After all, though it is very subjective, I reckon you should all take a squiz- as inspiration may strike you sooner than you think! 1. 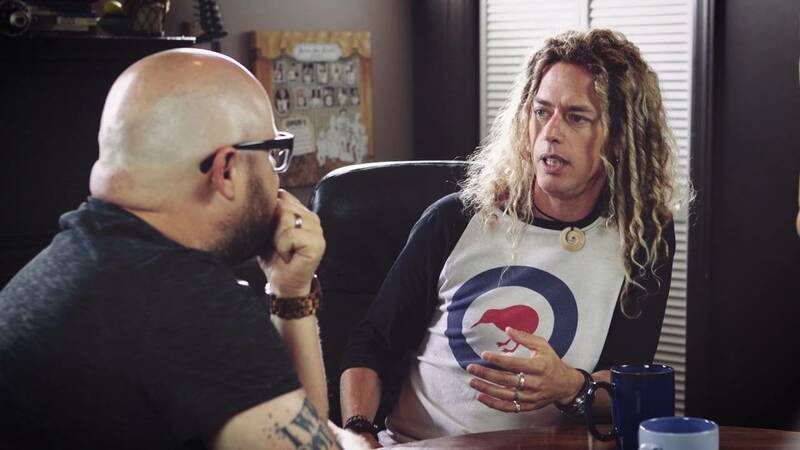 Zealand Worship’s frontman Phil Joel not using social media- don’t we all need a reminder that technology is sucking our souls away? We should unplug more often than we do, and Phil inspires us to take the painful first step of admitting that we’re addicted to being ‘liked’ by our ‘friends’! 2. An in-depth interview with lead singer of MercyMe Bart Millard, actor Madeline Carroll and director Andrew Erwin (one half of the Erwin brothers) about the brand new film I Can Only Imagine, based on the song of the same name. We are glimpsed into the making of the film, Bart’s testimony, Madeline’s testimony and how we all can learn something from the movie, even if we aren’t believers. Why can’t we be inspired by a heartfelt interview? 3. Dennis Quaid interview on Build Series about I Can Only Imagine– showing us how grounded he is in Christ, and that anyone can be inspired by the movie and the song- it’s just got that ‘something’ (aka God breathed and Holy Spirit anointed melody and movie), that I think we all need to check out! 4. Louie Giglio’s brilliant 2005 talk INDESCRIBABLE describing the cosmos and how small we are- it just takes your breath away at how complex the universe is and how big our God is! 5. Jimmy Needham’s spoken word piece ‘The Story’ which is the gospel in 5 minutes. What a work of art, just watch and be amazed! 6. Propaganda’s spoken word piece ‘The Gospel’, which is also a video of the gospel in 4 minutes! Also a work of art, so watch and be amazed! 7. What’s so good about Good Friday- a spoken word piece by Jason Dyba, about Good Friday for Passion Conferences in 2016. What I saw this video a few days ago, it simply blew my mind, about another way to view Good Friday in light of the resurrection! 8. My Name Is…- a spoken word piece by Sean Curran, about Good Friday for Passion Conferences in 2018. When this video was uploaded a few days ago, I saw this video, and was completely blown away. As the ‘song’ is told from the perspective of Barabbas, I finally understood how an outsider felt when Jesus died, with the result that even the most hardest of hearts could have been changed if he had been there at the cross where Jesus died; is so profound and life changing. 9. A sobering and emotional interview with Mark Hall, lead singer of Casting Crowns about his cancer diagnosis and healing (the story behind the song “Oh My Soul”)- a brilliant testimony where we can see and know that God heals and restores! 11. Behind the song devotional of Tenth Avenue North’s “Control”, where we remember that God doesn’t need us, but He wants us. Profound, confronting stuff, right? 12. Lecrae’s Passion 2015 talk about how our purpose as Christians is to reflect God’s glory and point people to Him. It’s encouraging, he’s a fantastic speaker, and I think it’s pretty relevant too! 15. Denzel Washington’s rousing speech to graduates in 2017, as he speaks about putting God first! 16. Naomi Striemer’s testimony on how she came to Christ- it’s very profound, and a story that can only be described as ‘God’. Check it out, even if you are a skeptic, you will be blown away! 17. Tori Kelly’s testimony, and how God is still using her to bring people to Christ in her mainstream music career! 18. TobyMac’s Hits Deep DVD- It’s TobyMac, it’s a live DVD project with tons of guest vocalists including Hollyn and Colton Dixon, it contains the ‘reunion’ of dc Talk, should I list any other reasons? 19. 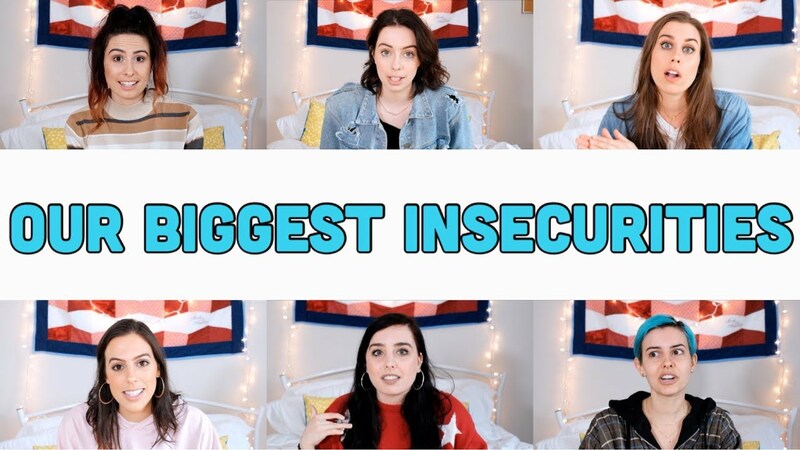 Cimorelli delving into their biggest insecurities- with sisters Christina, Katherine, Lisa, Amy, Lauren and Dani (from the band Cimorelli) each diving deep into their insecurities about their physical appearance and their personalities, and ways they have overcome, or are still overcoming their fears; this video I reckon is a great reminder that the things we feel about ourselves, are often what others feel as well, and that we can overcome adversity through relying on God, our family and friends, and from changing our mindset. 20. Of course, how could we forget The Cimorelli Podcast! Take a read of our review of season 1 right here! Enjoy! So, here it is! Which video/s inspires you the most? All? None? Something not from the list (and that’s ok, as it’s only a subjective list!)? Let us know in the comments below!